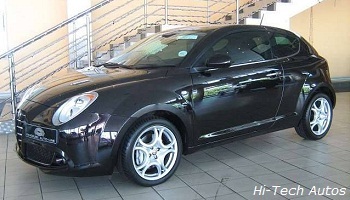 Alfa Romeo MiTo (known internally as the type 955) is a three door sporty supermini officially introduced on June 19, 2008, at Castello Sforzesco in Milan, with an international introduction at the British Motor Show in 2008. 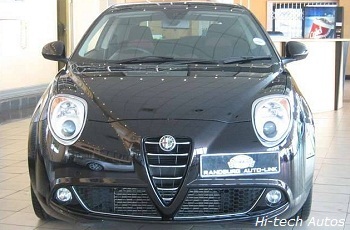 Alfa Romeo MiTo was available in all Alfa's major markets in stages from July. The three-door hatchback is front-wheel drive and will be sold to compete with the MINI and the upcoming Audi A1. Designed by Centro Stile Alfa Romeo, the design is believed to be inspired by the 8C Competizione. The car is built on Fiat/GM SCSS platform used on Fiat Grande Punto, also employed by the Opel/Vauxhall Corsa D. The new car was provisionally named the "Junior". In 2007, a European competition was launched in which the public had a chance to name the car. The winner from each country could win an Alfa Romeo Spider or an Alfa Romeo mountain bike. The winning name was "Furiosa", which scored well in Italy, France, UK and Germany but not in Spain. 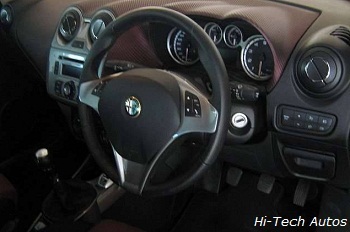 However, on March 14, 2008, Alfa Romeo announced officially that the name would instead be 'MiTo', an abbreviation of the cities Milano (Milan) and Torino (Turin), because it was designed in the former and was to be assembled in the latter; the name is also a play on the Italian word "mito," meaning "myth" or "legend." 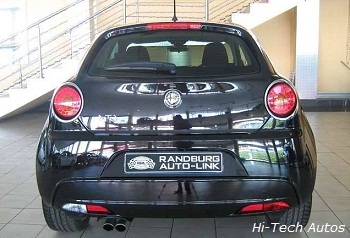 Read More On The Alfa Romeo Mito.